Even in this day and age, seeing certain ballplayers wearing a Phillies uniform just seems wrong. I’m too young to appreciate how wrong Joe Morgan, Pete Rose and Tony Perez initially looked in Phillies unis, but I fully appreciated the weirdness of Andy Van Slyke, Fernando Valenzuela, Pedro Martinez, Jeff Conine, and, now, Dontrelle Willis. There are two big questions for me: 1) Will he surpass Jeff Conine in total games as a Phillie? 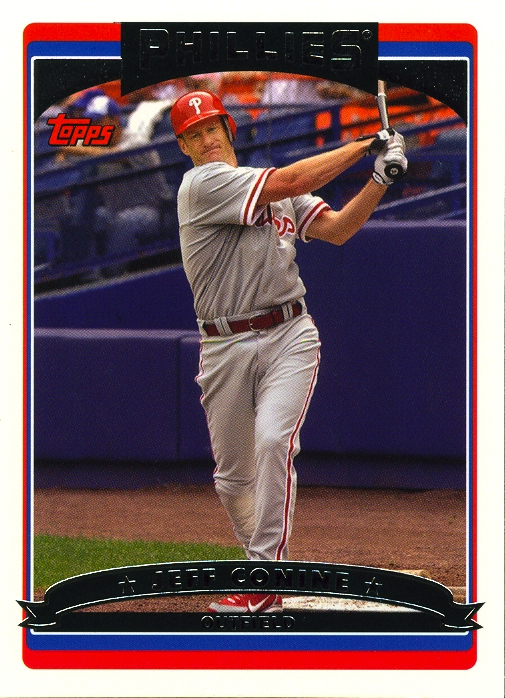 2) How hideous a job will Topps do when it photoshops him into his first Phillies card? My 2011 Phillies Cards in Review will resume tomorrow. Really, it will. Don’t roll your eyes in disbelief. I mean it!